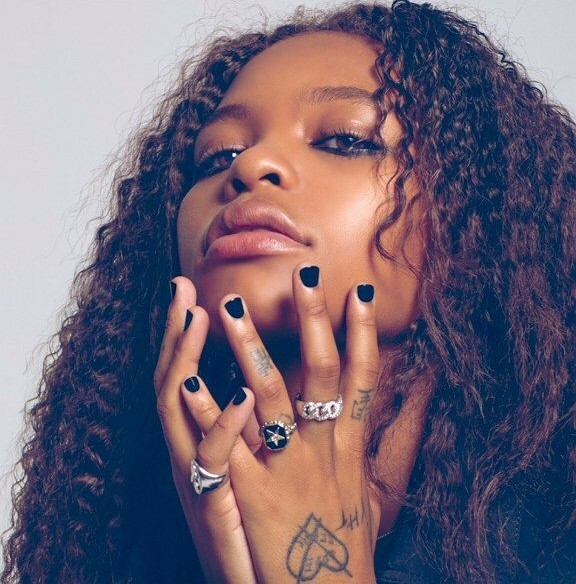 The Dinah is pleased to welcome Kodie Shane to its early list of 2019 musical performers! Along with Miami’s Diiamon’d Royalty and several world renowned DJs, the popular Atlanta hip-hop artist will grace the stage at The Dinah 2019 for what promises to be an electrifying performance! The Dinah is a 5-day event created by Mariah Hanson to celebrate, unite and empower women. The festival includes high profile performances by nationally renowned recording artists, massive pool parties with world famous DJs and go-go dancers, red carpet events with celebrity guests and musical performers, meet and greets with your favorite celebians, and so much more. 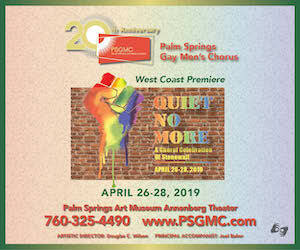 There’s a reason The Dinah is considered the largest lesbian event in the world and there will be something for everyone at what is expected to be the biggest event to date in 2019! Keep an eye out for more announcements to come. Young HeartThrob shows off Shane’s wide creative palette, dipping in and out of moments of pop bliss, hip-hop grit, and future-facing alternative ambience. Shane’s 2016 debut EP features fan-favorite “Sad (feat. Lil Yachty)” which garnered millions of Spotify streams, followed by the runaway success of “Drip on My Walk”. Never one to slow down, Shane spent 2017 creating even more music, with the ten-track Big Trouble Little Jupiter mixtape and seven-track Back From The Future EP. Across her releases, the artist has garnered praise from The FADER, Pitchfork, Vogue, Pigeons and Planes, Paper, NYLON, W Magazine, Interview Magazine, Mass Appeal and more. Most recently, Billboard named her one of 2018’s biggest pop stars to watch and she covered Galore’s Spring 2018 Music issue. Quickly emerging as one of Atlanta’s freshest and fiercest voices, Shane brings tightly-wound rhymes, clever lyrics, and ear-worm melodies to songs that perfectly blend infectious pop with beat-driven hip-hop. The genre blending innovator has shared the stage with the likes of Lil Yachty, Lil Uzi Vert, The Internet, Snakehips, Billie Eilish, and more and is sure to ignite the stage at The Dinah 2019! Watch new video “Flex on Me (ft TK Kravitz)” and stream official audio for “Thinking Bout You“. Follow Kodie Shane on Instagram, Facebook, and Twitter. In keeping with The Dinah’s history of showcasing and empowering women who are breaking glass ceilings, The Dinah has welcomed Diiamon’d Royalty to their illustrious family of performers. The Eden Entertainment Group artist is widely known in the LGBTQIA+ community for being a viral YouTube sensation after her freestyle video shortly broke the internet with over 1.5 million views. Her lyrics carry unforgettable truths and her raw talent is undeniable. Growing up in a small country town in Virginia, she describes at times feeling isolated because she did not fit in. Channeling those feelings into her craft, she was recently in the top 4 of Coast 2 Coast’s 2017 artist showcase world championship in Miami Beach and signed to South Coast Records. Not only is she a great freestyle and recording artist, but she’s a dynamite entertainer. She draws in her audience with her ability to lay it all out there and be her true self, thrilling audiences with her clever rhymes and smooth delivery. Her debut album Mirrorz (listen on Spotify) shows her growth and versatility as an artist. Diiamon’d Royalty is not a name you will forget soon and she is certainly a rapper to watch! Watch videos for “Type of Way (cover)” and new single “Diamonds“. Follow Diiamon’d Royalty on Facebook and Instagram. New this year, the largest girl party music festival in the world is offering a chance for an unsigned emerging artist to join the ranks of its illustrious history of musical performers. Entries are open now! The entry form can be found HERE and is open to all female-identifying US residents. Submit your best music video (or two) and be entered for a chance to win a coveted performance slot at The Dinah 2019!